Identifying a sewer line break can be the beginning of a larger problem for your home or business. Just fixing the problem is not going to be the only solution. 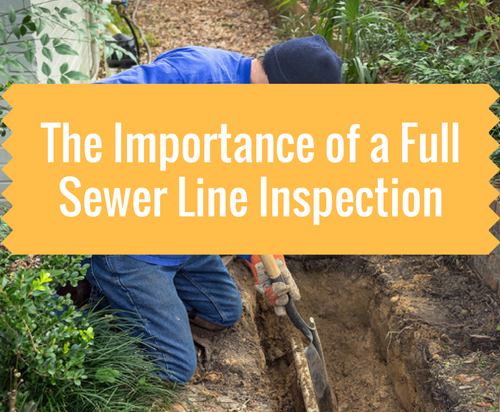 It is important to have a full sewer line inspection to fix and provide information of what is happening to your entire system. We share how our team at Accurate Leak and Line can come in and test, detect, and repair your sewer lines. This is a method of sewer line detection that combines video camera inspecting with hydrostatic pressure. This is able to test different sections of an entire sewer system. The testing is able to identify the exact location of a leak. The plumber will put inflatable test balls into the sewer system. They will be placed into roof vents, clean outs as well as toilet drains and more. A sewer camera will be used to assist with placement of inflatable test balls in the sewer system. This helps to map the layout of the sewer system as well as the location of the problem. exact location of a sewer leak in sub-slab plumbing. Once a sewer line has been inspected, the property owner will be consulted concerning what was discovered. A detailed report is able to identify which pipes and where sewer line repair is needed. 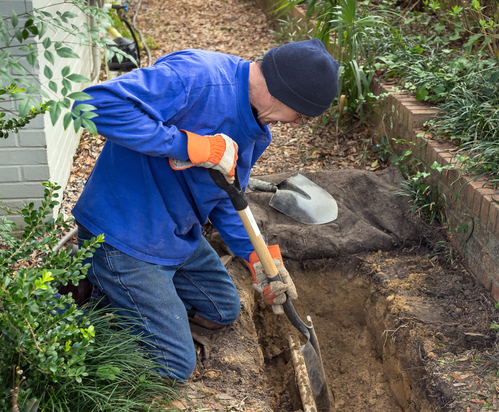 In some situations, traditional sewer line excavation is the best option. All of the fixed costs involved with this option will be detailed in a report. This process begins with an OSHA certified crew. They are experienced in the proper ways to use chipping hammers as well as shovels and more. Each crew member has had confined space training. This ensures they will avoid damaging commercial or residential property. This could involve external excavation, which is tunneling to the affected area from the outside. Jackhammer slab penetration may be used. It may also be necessary to re-route new lines around the outside of a dwelling. Once the replacement or repairs are complete, then tampering hammers are used by trained crew members for dirt compaction. Any excess dirt is removed. This is a no-dig method of sewer line repair. It is often used successfully as an option for sewer drain replacement. During this process, the pipe system is relined within the pipe. This eliminates the costs and destruction involved with doing an excavation for sewer line repair when using the traditional sewer line method. It involves an epoxy soaked sleeve being pulled-in-place. This makes it possible to do a sewer line replacement by re-lining an entire sewer system. It can also be used to repair isolated leaks. Contact our plumbing team to schedule a visit to your home or business so we can help identify and resolve any issues with your sewer line. We have the experience with traditional and trenchless plumbing to come in and get everything running back to normal.